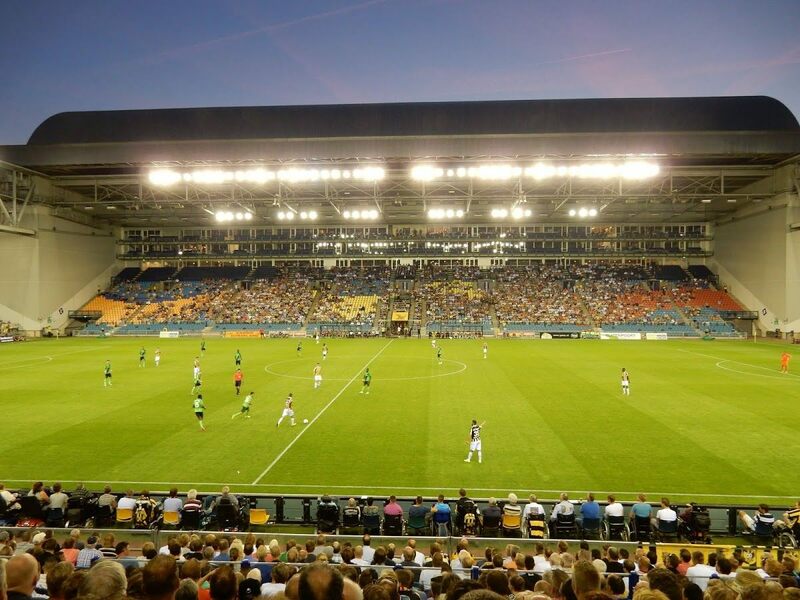 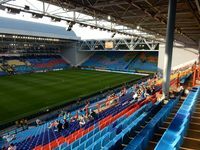 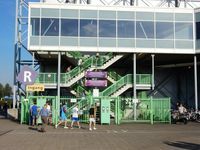 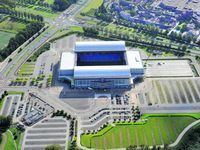 The need for a new stadium in Arnhem was already apparent in 1980s, but it wasn’t until the Netherlands were awarded Euro 2000 that the city got its dream. 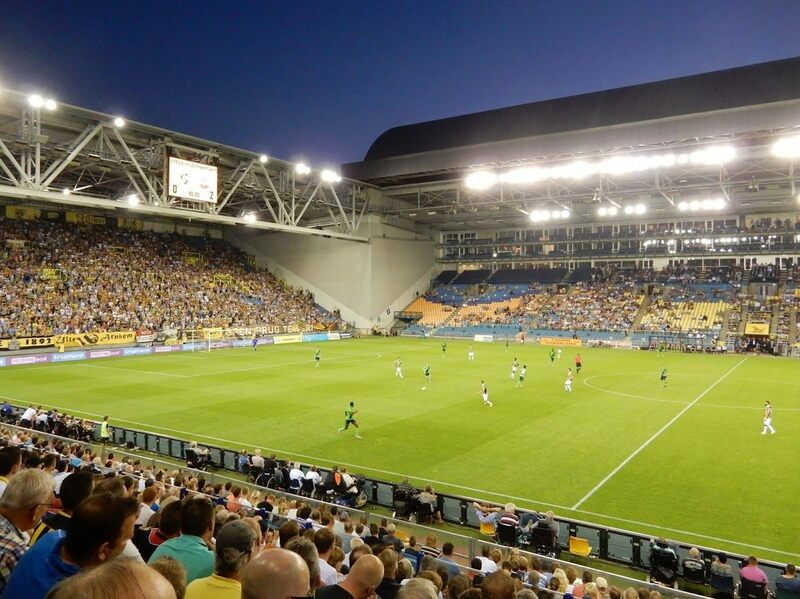 And dreamy it seemed: Europe’s first stadium to combine a retractable roof, sliding field and cooling/heating of the entire volume. 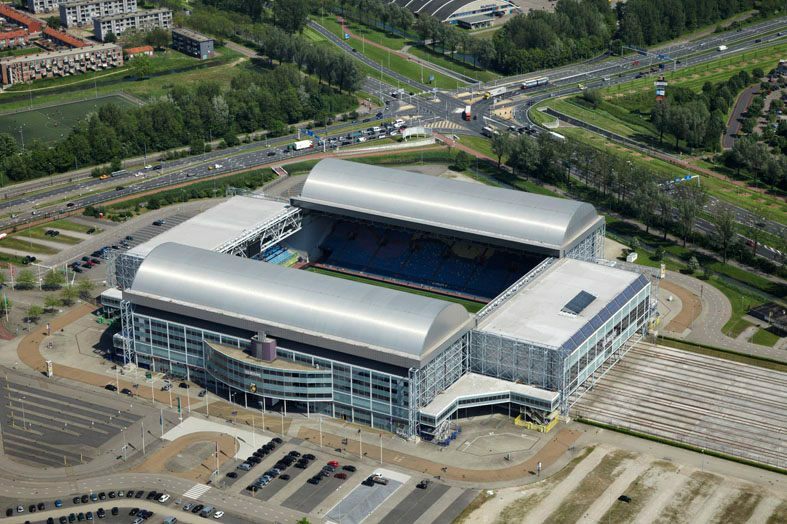 Or, more simply, Europe’s most versatile stadium. 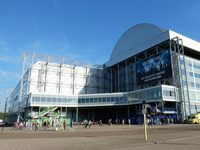 This unique challenge was taken up by Alynia Architecten. 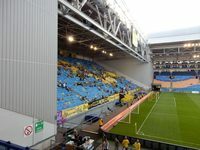 To make it economic a simple steel frame was created without any room for corner seating, becoming both the stadium’s outer walls and support for two rounded segments of the moving roof. Stands were largely built with precast concrete, though a notable exception is the south one. 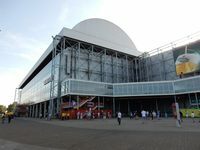 It’s created with much lighter steel in order to reduce its weight. 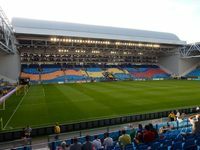 After all, underneath there’s an 85-meter opening that allows the field to slide out and rest in optimal conditions during concerts. 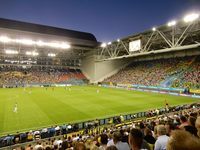 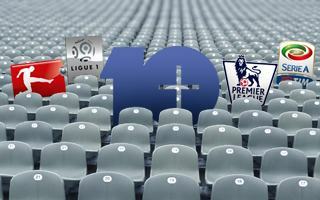 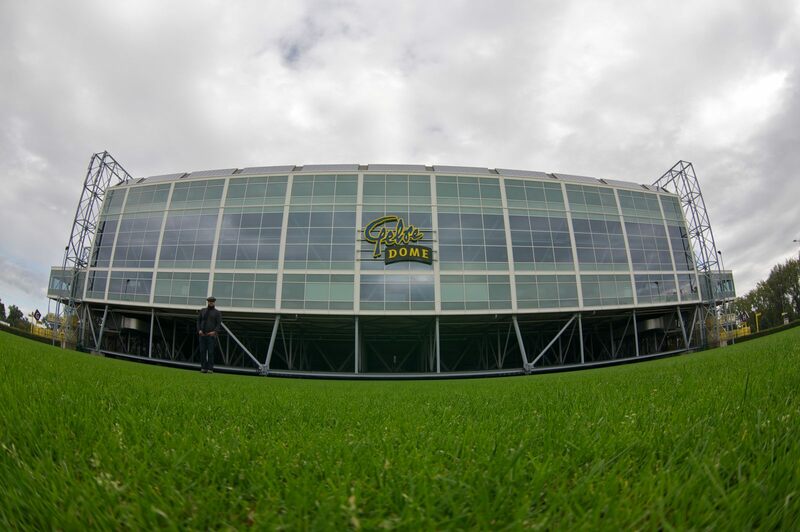 The field moves on an 11,000-ton platform, a solution that has since been replicated in other stadia worldwide. 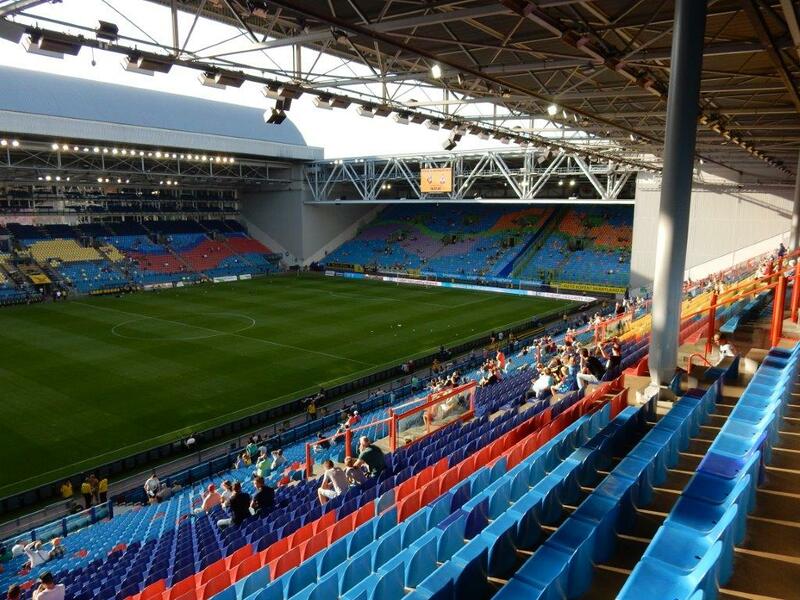 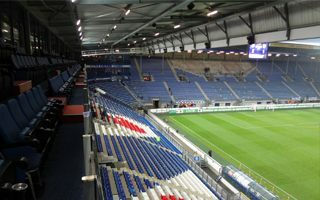 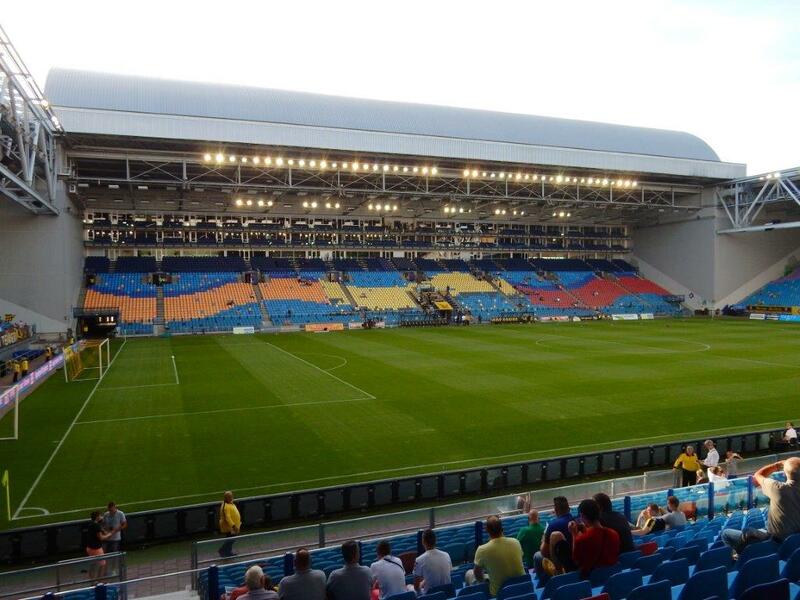 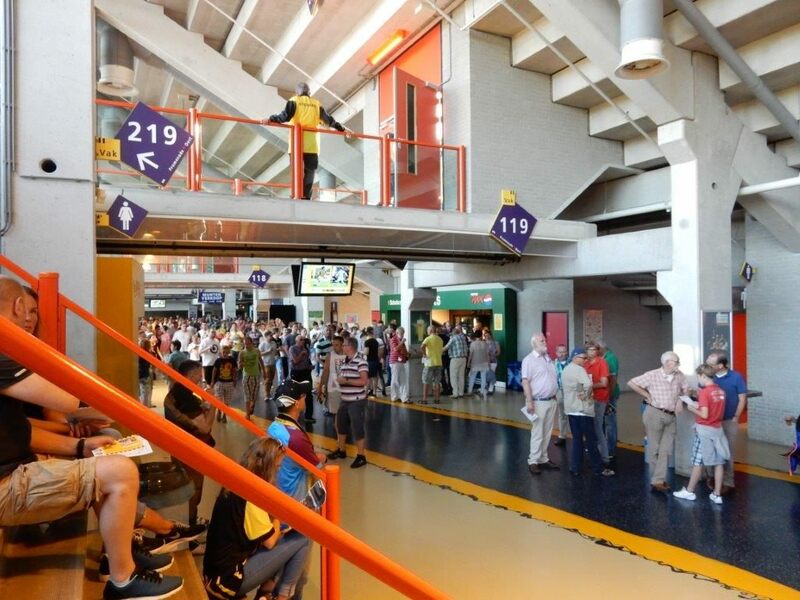 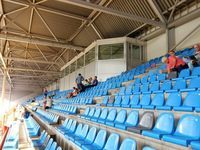 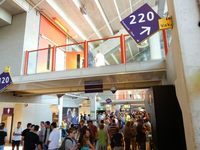 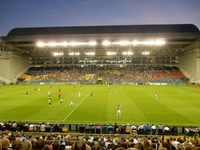 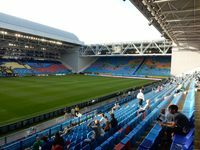 The design created room for 26,000 seats (vast majority were molded from recycled furniture), though capacity had to be temporarily increased to 30,000 in order to satisfy UEFA’s Euro 2000 requirements. 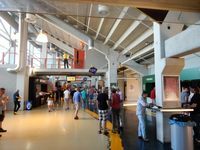 This number includes 49 skyboxes spreading across two floors of the west side. for concerts it’s even higher, up to 41,000 people can cram inside. 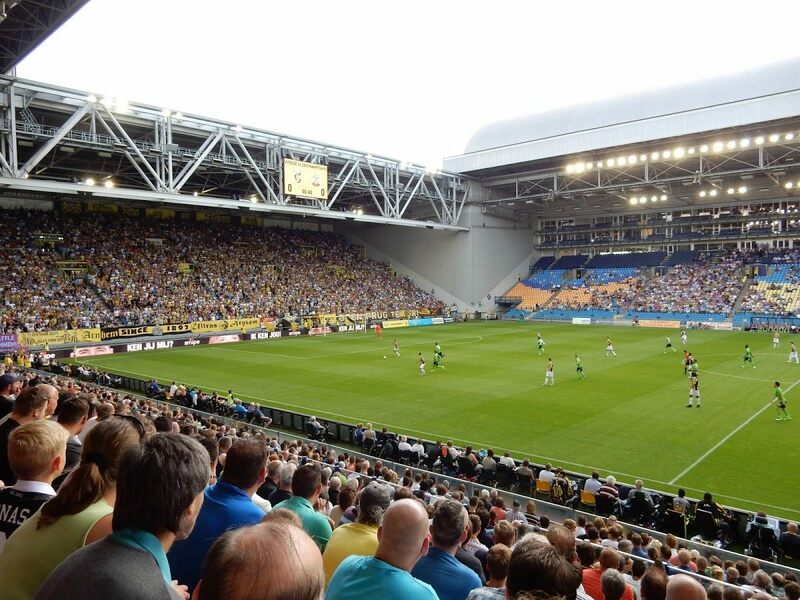 When all these new technologies arrived in 1998, the stadium enjoyed huge crowds from Vitesse supporters. 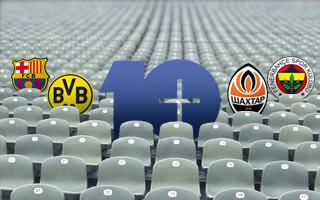 From app. 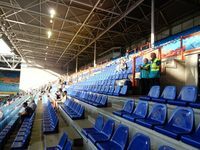 8,000 per game the club went to 21,000 and then even further, but enthusiasm proved not to last long. 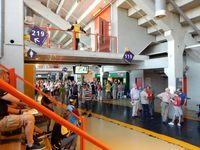 After a decade the crowds were averaging well below 20,000, resulting in capacity reduction in 2016. Not only crowd sizes proved problematic. 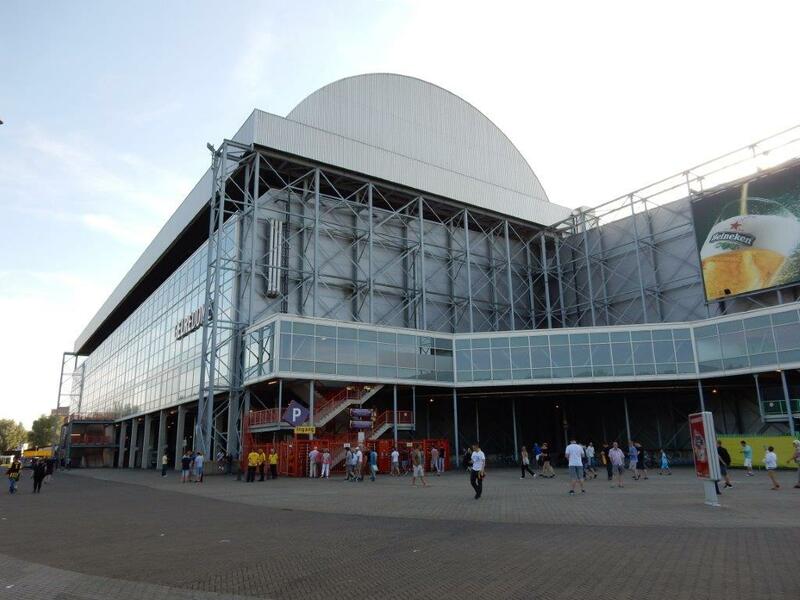 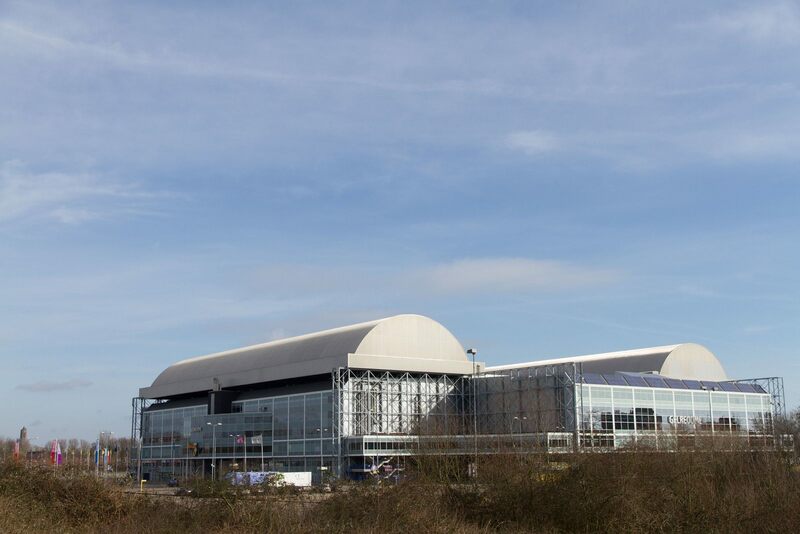 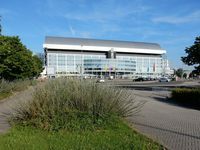 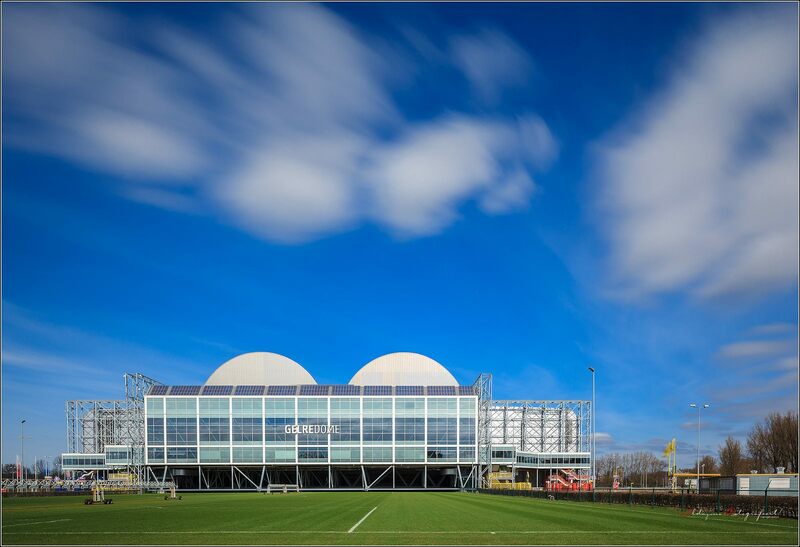 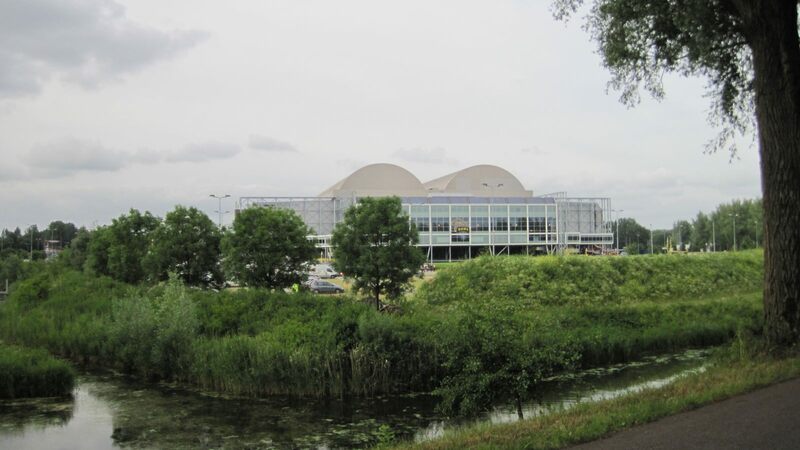 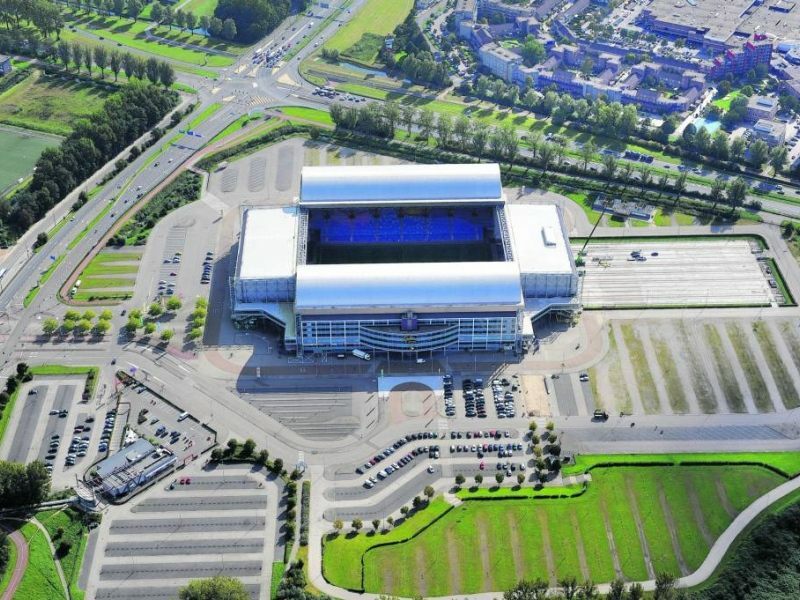 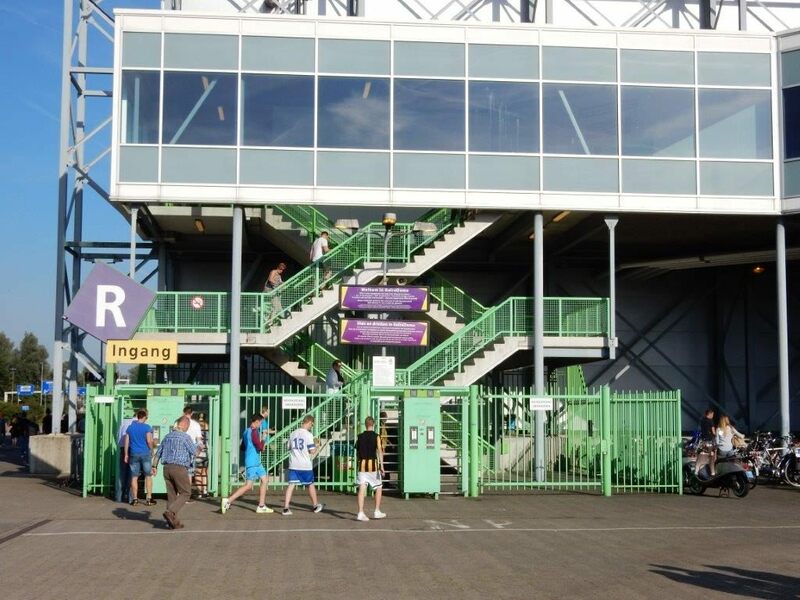 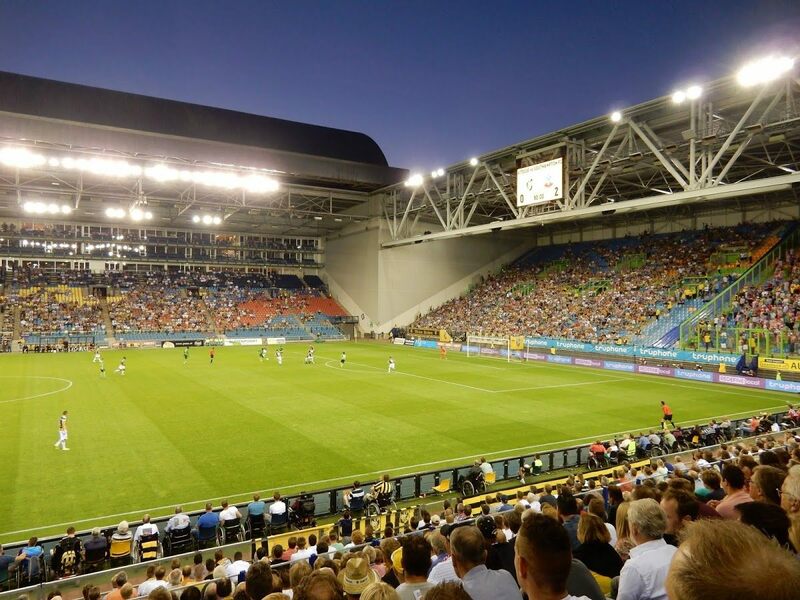 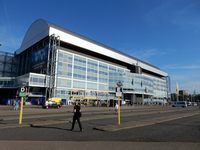 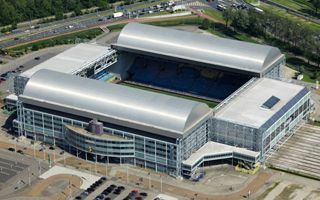 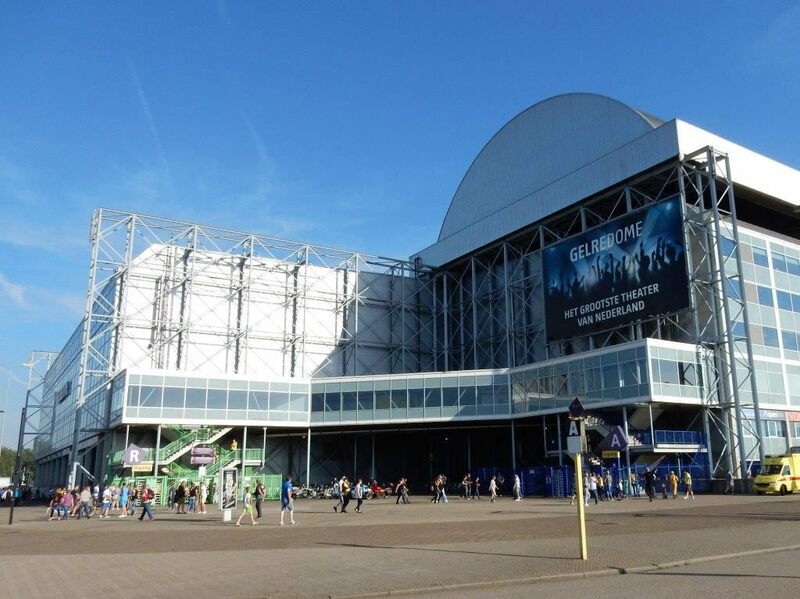 The stadium company, planned to pay its own debts, required significant public support that resulted in Gelredome being bought by the municipality in 2003 for €19 million, a fraction of the €75 million paid to build it just 5 years earlier. 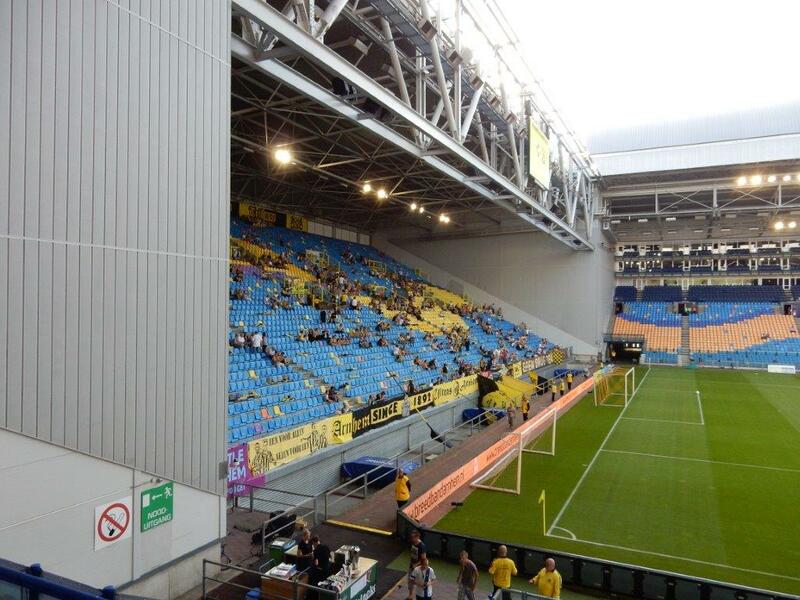 Also Vitesse needed significant help in those days. 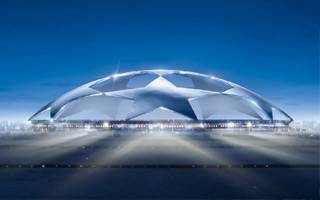 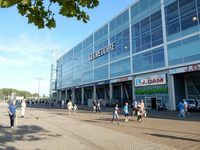 Only after both the stadium and its tenant got back on the right track, the municipality sold the stadium again to a private entity, developer Eurocommerce. 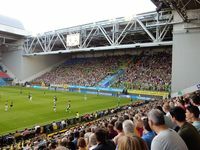 Thanks to its versatility the stadium holds numerous events every year, not limited to football. 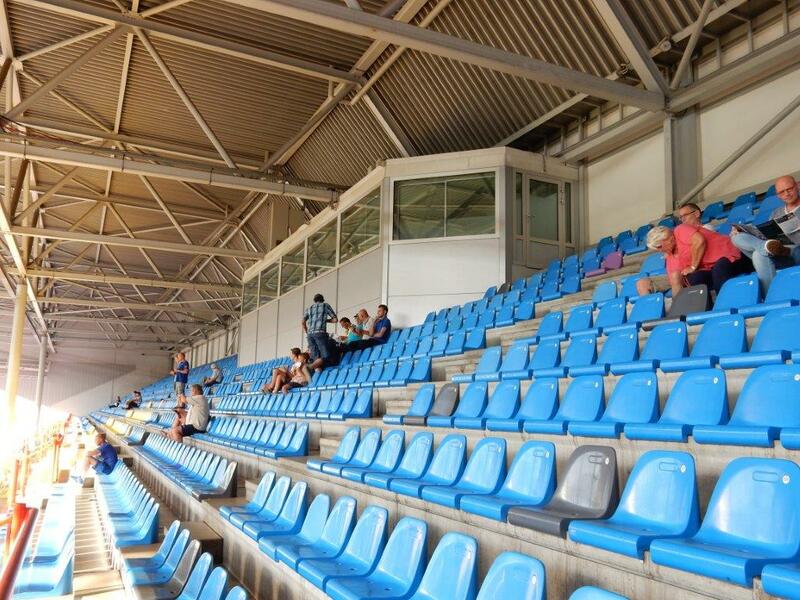 In fact, vast majority of spectators watch other events here, concerts draw twice as many fans than games. 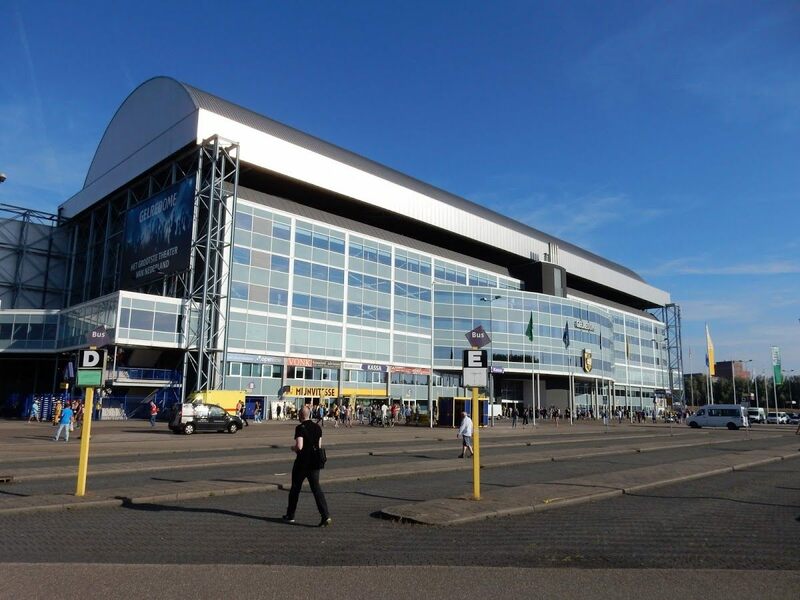 And while it’s hard to find a major performer who hadn’t been to Gelredome, this doesn’t mean that football-wise it’s underused. 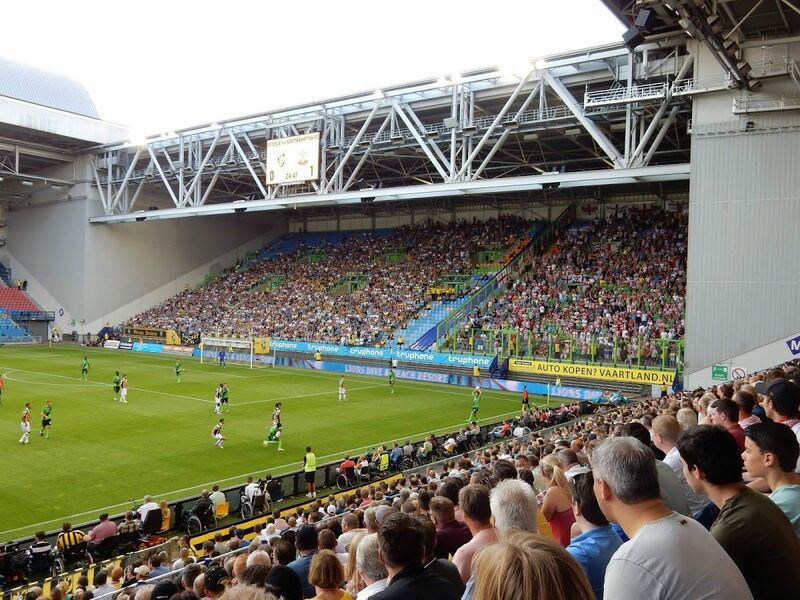 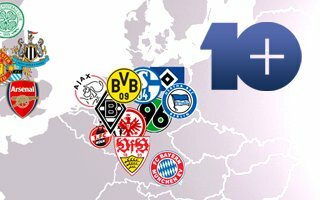 Vitesse on a regular basis, Twente, PSV and the national team on occasions and then there are tournament games, to name just Euro 2000 and Euro 2007 (U21). Dutch city of Arnhem is putting up Gelredome, their largest stadium, up for sale. 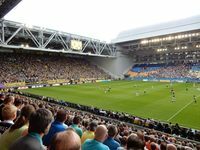 It would seem natural that tenant club Vitesse is interested, but the football side cannot obtain their home venue due to a special clause.